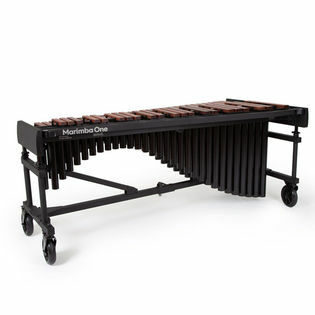 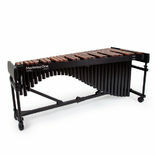 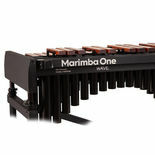 The Marimba One Wave 4.3 Octave Marimba was designed by Marimba One to be the best-designed and toughest quality-built frame on the market. 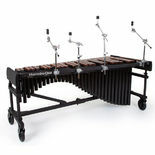 The frame is fully height adjustable using gas springs in the end frames so it is effortless to raise and lower the keyboard height. 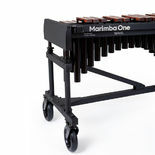 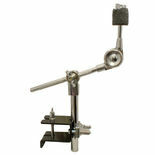 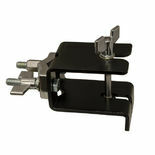 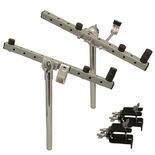 The Marimba One Wave Lock System utilizes cam levers and was designed to make the set up and adjusting of the frame or accessory bar the easiest and fastest of any frame available - no more bolts or wing nuts to strip or lose!